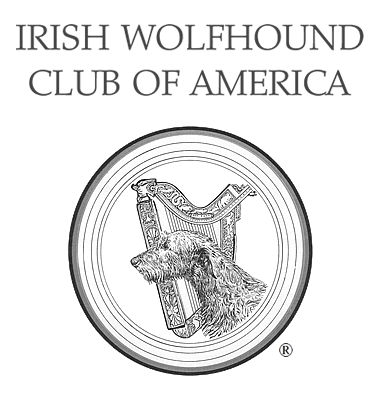 Harp and Hound - Irish Wolfhound Club of America, Inc.
As a benefit of membership, all IWCA members receive Harp and Hound, the award-winning official magazine of the Irish Wolfhound Club of America, Inc. Its purpose is to represent and serve the goals and objectives of the organization. Topics range from health to history of our breed to the results of our national and regional Irish Wolfhound clubs' specialty events. If you are not a club member, please consider joining. Membership information and application forms can be found on the IWCA Membership page. Harp and Hound has been a noteworthy publication for nearly seventy years and is published quarterly. The magazine is the result of a team effort and depends upon the continuing involvement of a large group of people, including its editorial board, contributing writers and photographers, and especially our membership. The Dog Writers Association of America awarded Harp and Hound their 2017 Maxwell Award for club publications and in 2018 the magazine was again honored with a nomination. Contributions, in the form of photographs, letters to the editor, news stories or feature articles, are welcome. A number of the magazine's articles are made available for your reading pleasure on this website, too.